This kitchen table and 6 matching chairs were from a home that had been water damaged. Refinishing the table top involved stripping the old finish, sanding, staining, and applying several coats of lacquer. The new finish was then rubbed and waxed. The legs and apron to the table were in good condition, and only needed touch up and polishing. As for the 6 chairs, the water stained seats were removed (screws underneath) and refinished. The frames were cleaned, touched up and polished. The seats were then re-installed. 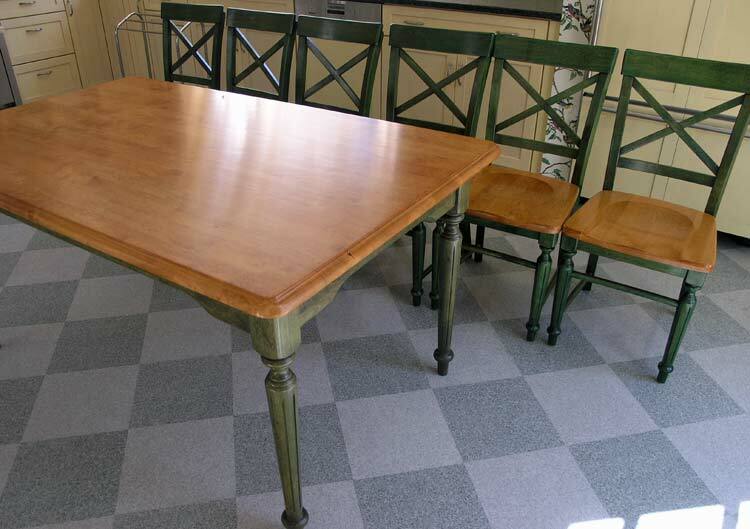 This kitchen table was refinished for a Millbrook NY client.